I cannot find where I can set up count settings for a specific file format. 2. Add some DOC files you would like to count. 3. Switch to Settings > .DOC, RTF, .WPD, .DOCX. 4. 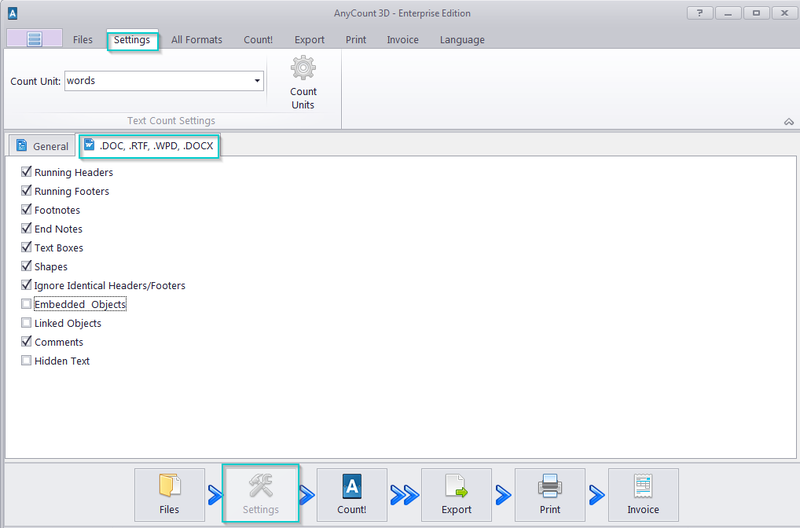 In this window you can specify your desired count options (Picture 1).